The ability to hear is one of the greatest gifts any human has ever been given. But it doesn’t always go smoothly for everyone. Nearly 28 million adults in the United States alone would benefit from using hearing aids. While these devices help a large number of people, hearing aid problems do occur. Just like with any other piece of technology, hearing aids stand to need some repair or replacement on occasion. So how do you know when it’s time for a fix? Here are nine sure-fire signs. The most obvious sign your hearing aids aren’t working properly is the absence of sound. If you aren’t hearing anything, something is definitely wrong. 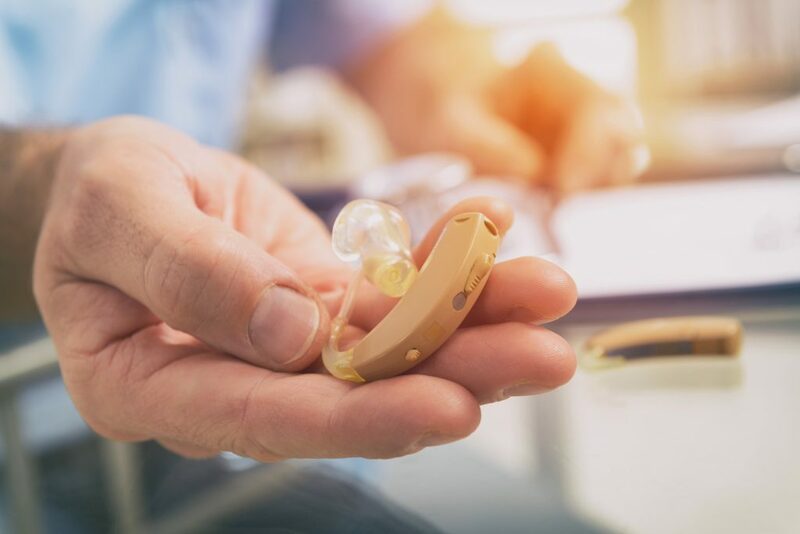 Whether you’re new to your hearing aids or you’ve been wearing them for a while, you’re probably pretty familiar with how things sound through them. If you notice a change in the sound, contact your doctor. The sound coming through your hearing aid shouldn’t suddenly disappear. If this happens, you can do some troubleshooting on your own. You may simply have a battery issue. If you check things out and everything seems to be fine, your doctor will be able to instruct your further. While your hearing aid should send sound to your ear, you shouldn’t be hearing constant whistling. This constant, or even intermittent, sound can get annoying quickly, so make sure you get it addressed. If you do hear whistling, try removing your hearing aid and putting it back in. The sound may simply be happening because the hearing aid was inserted incorrectly. You may also have an issue with too much earwax. Make sure your ears are good and clean before assuming your hearing aid is broken. If you do continue to hear whistling and you’ve tried these things, there may be an issue with your hearing aid. Do things sound different than they normally do? That’s a sign there’s a problem with your hearing aid. The sounds you hear should be clear and easy to understand. If they’re garbled or distorted in any way, your hearing aid likely has a problem. If you notice any cracking on the faceplate of your hearing aid, it’s time to talk to your doctor. You may need to replace your hearing aid. There is a chance you can replace it, though. Your doctor will let you know what you can do. They will give you a timetable, too, so you’ll know how long it’ll be before you’ll get your hearing aid back. Have you recently gone to use your hearing aid and it wouldn’t turn on? If so, it might be time to call your doctor. Your hearing aid not turning on doesn’t automatically mean there’s a problem with it. It might simply be a battery issue. It may also mean you haven’t shut the battery door. If it isn’t shut, the proper connection isn’t made. Check to make sure everything is in place and that the battery is working. If everything seems fine, contact your doctor for a solution. Your hearing aids’ volume should stay the same unless you change it on purpose. If it’s changing on its own, there’s something wrong with your hearing aid. You might experience this in random increases or decreases in volume. If this happens, it’s likely a battery issue or a setting issue. Check the batteries to see if they’re running out. If they are, replace them with new ones and you should be good to go. It’s also a good idea to make sure all settings are correct. You may have accidentally chosen settings different than the ones you meant to apply. In general, wearing hearing aids shouldn’t be painful. They’re designed to sit comfortably in your ear. If your ears are sore, you may be wearing your hearing aids incorrectly. First, make sure you have the right hearing aid in each ear. If you accidentally switched them, switch them back. Colors indicate which hearing aid goes in which ear. Blue often means left and red means right. To help your hearing aids function properly, make sure you wear them correctly. Every part of your hearing aid is important for its proper functioning. If the tubing becomes dislodged, it isn’t going to work. In this case, you’d need to contact your audiologist. They will direct you on what you can do to remedy the situation. You might still be able to hear but the sound sounds quieted or muffled. You shouldn’t feel like you’re trying to hear through a pillow all the time. This is a sign your hearing aid could be malfunctioning. Muffled sound may also be the result of built-up earwax. Clean your ears and your hearing aid before contacting your doctor for further help. Each of these hearing aid problems is fairly common, so keep your eyes and ears out for them. The sooner they’re noticed, the quicker they can be dealt with. Keep your hearing clear by taking care of your hearing aids. If you do suspect there’s an issue, make sure everything is clean and contact your doctor. They will get your hearing back to normal in no time. Ever wondered what the difference is between analog and digital hearing aids? Click here to learn all about it.